(Bloomberg) -- Thailand’s junta leader Prayuth Chan-Ocha has had absolute executive power since toppling the government five years ago. Now he’s looking to keep his job after an election -- something previous military leaders in Southeast Asia’s second-biggest economy have struggled to do. 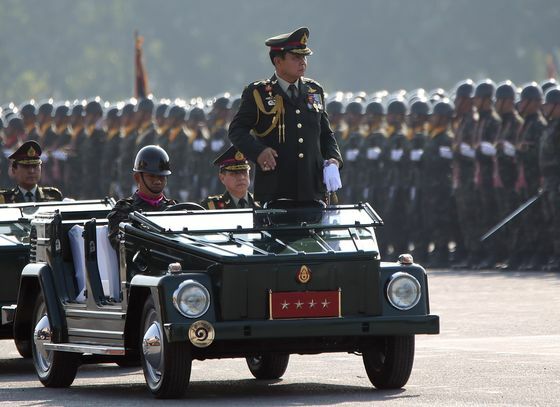 The former army chief, who turns 65 this week, seized power after a coup in May 2014 and has led the longest period of army rule in modern Thai history. Prayuth has kept a tight grip on the country through a military-drafted constitution while investing in infrastructure. He’s also used soft power, writing eight syrupy, nationalistic pop songs and insisting public school students recite his 12 values. 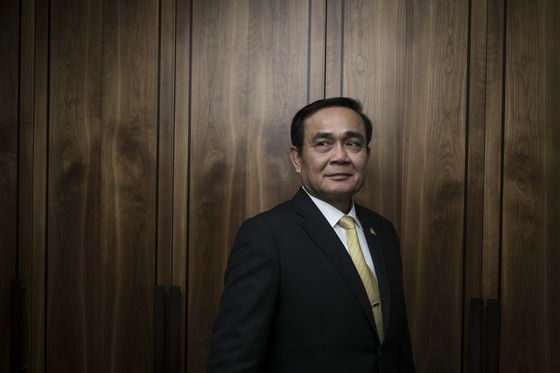 In the polarizing politics between the rural poor and the urban establishment, Prayuth presents himself as a uniter presenting an alternative to career politicians. 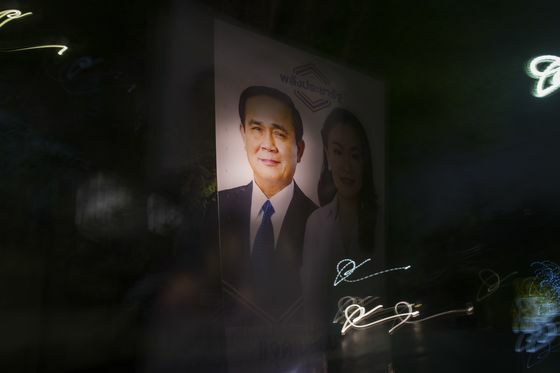 In some circles he’s seen as an antidote to Thaksin Shinawatra, the exiled former prime minister whose allies have won every election since 2001 with support from the poor, only to be overthrown by coups or the courts amid accusations of corruption that he has denied. But he is also a deeply divisive figure -- a military man who may struggle to lead a coalition government as a candidate for the Palang Pracharath Party. The 250 junta-appointed Senators who elect the premier, along with the lower house, could give Prayuth an almost unbeatable head start in maintaining that control. If they vote together, he just needs 126 votes in the lower house to get over the line. Prayuth rules the country like he did the army. A key feature of his premiership is the executive power that gives him control over any issue deemed necessary by the junta, which is officially called the National Council for Peace and Order. Enshrined in the constitution, the executive power has been used dozens of times on issues ranging from tackling illegal fishing and saving wild elephants to stripping Thaksin of his police rank and dismissing government officials or provincial governors for alleged misconduct. He’s also berated reporters who asked him questions, and even left a cardboard cutout of himself as a replacement when walking out on news conferences. In the earlier years of Prayuth’s regime, several critics of the junta were called in for “attitude adjustment” sessions at a military base, and some were detained. Activists and academics also faced intimidation by authorities as part of the regime’s efforts to silence dissent. The United Nations criticized his administration for allowing lese-majeste laws to be used as a tool to stifle free speech. His aide Weerachon Sukhontapatipak, a military government spokesperson, dismissed concerns about restrictions on freedoms. “The prime minister hasn’t been curbing free speech, and has welcomed criticisms toward himself,” Weerachon said. Thailand has had a troubled relationship with democracy. Elected and military governments take turns running the country, with occasional deadly clashes and protests. Since it became a constitutional monarchy 87 years ago, Thailand’s been under the control of undemocratic governments longer than not. The 1991 coup maker Suchinda Kraprayoon tried to maneuver himself back as prime minister, leading to public protests that ended with a deadly military crackdown. Sonthi Boonyaratglin, who led the 2006 coup against Thaksin, struggled to gain support as a politician after leaving his post in the army and the junta. For nearly five years, Prayuth has made a weekly televised speech in which local broadcasters are required to air his patriotic messages. Along with his weekly speech, he also promotes his political agenda through songs. Known among his supporters as “Uncle Tou,” it’s unclear whether Prayuth has wide appeal among the public. Mahidol University’s Punchada said that Prayuth appears to be popular among older demographics that are seen to be anti-Thaksin. Prayuth has cultivated an image of himself as a conservative hardliner. He began his career in the Queen’s Guard after graduating from the Military Academy, serving as commander in several divisions before becoming the army’s chief of staff in 2008. 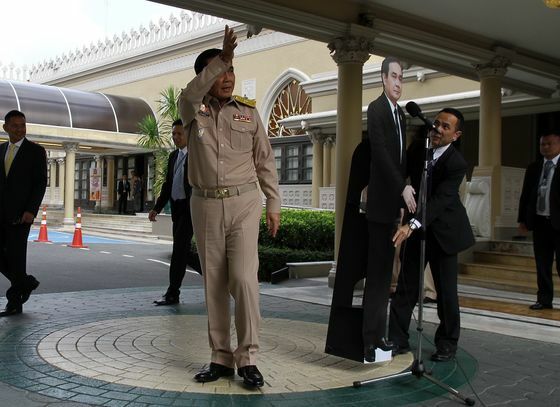 Prayuth was a deputy army chief when scores of pro-Thaksin protesters were killed in clashes with the military in 2010. He became army chief later that year. He’s tried to boost investment by accelerating large transport infrastructure projects and cutting red tape. He also rolled out welfare policies to put more money in the pockets of low-income households. 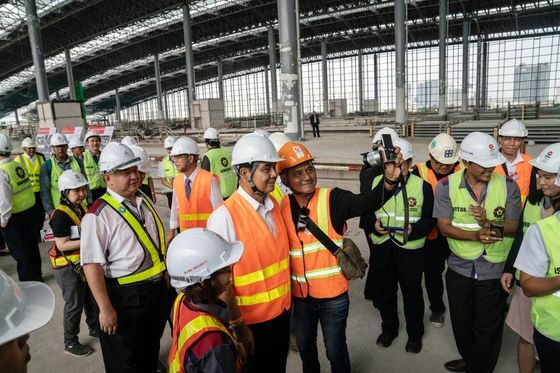 While economic growth picked up after the coup, it’s set to trail the Southeast Asian average for a seventh year in 2019, according to the International Monetary Fund. Despite the attempt to create a prime ministerial image, he has made several controversial remarks deemed offensive to women, journalists and critics. Among his most contentious remarks are his criticism of women’s choice of clothing and his comments that his detractors characterize as incitement of violence toward people that criticized him. If Prayuth is returned as premier, he might need to temper his prickliness. If the party that backs him doesn’t win the majority of the seats, it may be difficult for him to govern in a coalition that by its very nature requires negotiation and compromise. "Prayuth may have seized power because he wanted to end political conflict in Thailand once and for all," said Punchada of Mahidol University. "But he’s now one of the reasons for that discord."